ETM Cycle 2 assessed 535 villages in 8 affected provinces in all four divisions. Of the assessed villages, 374 villages in 39 districts and eight provinces were found to be affected. 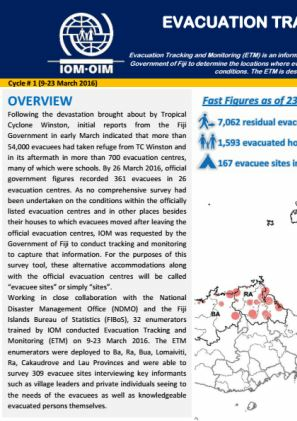 ETM teams identified 309 evacuee sites. 167 sites were found to be occupied by 7,062 evacuees. 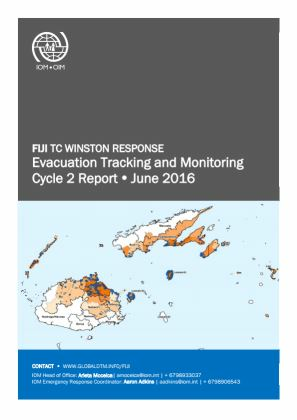 Evacuees were concentrated in six provinces (Ba, Ra, Lomaiviti, Bua, Cakaudrove and Lau) with the highest concentrations in Ra, Lomaiviti and Cakaudrove.